On this private tour from Chennai, journey back in time to discover traditional South Indian culture through its artistic, architectural and religious heritage. With your private guide, explore a traditional Dravidian (South Indian) village and visit its museum and art workshops to get a unique insight into local customs. 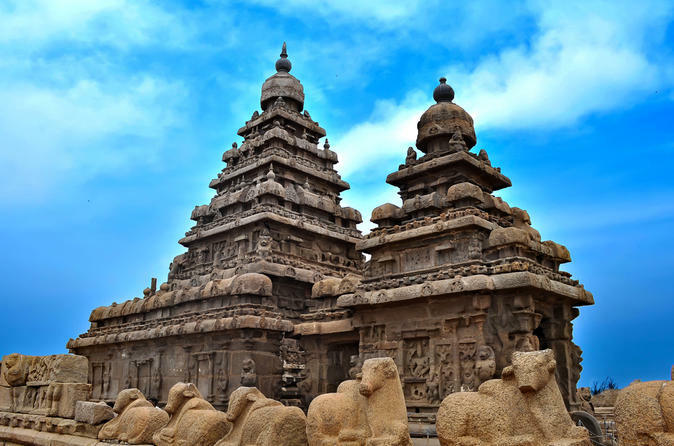 Then, after lunch at a local restaurant, discover excellent examples of Dravidian architecture in the UNESCO World Heritage-listed city of Mahabalipuram, featuring countless impressive rock-cut sculptures and temples. Private air-conditioned transportation and hotel pickup and drop-off are included. On this private sightseeing tour of Chennai, the capital city of Tamil Nadu, discover the city’s architectural diversity with visits to popular landmarks including Fort St George, the Government Museum, the Madras High Court and the Ripon Building. As you explore this bustling metropolis and cultural hub, your private guide will teach you about the fusion of traditional Dravidian (South Indian) styles of architecture with European colonial influences. You’ll also discover Chennai's religious diversity while exploring San Thome Cathedral and Kapaleeshwar Temple, and soak in the vibrant beauty of the city with a stroll through a flower market. Have you ever wondered why there are so many Gods in India? Or what the stars have to do with your future? 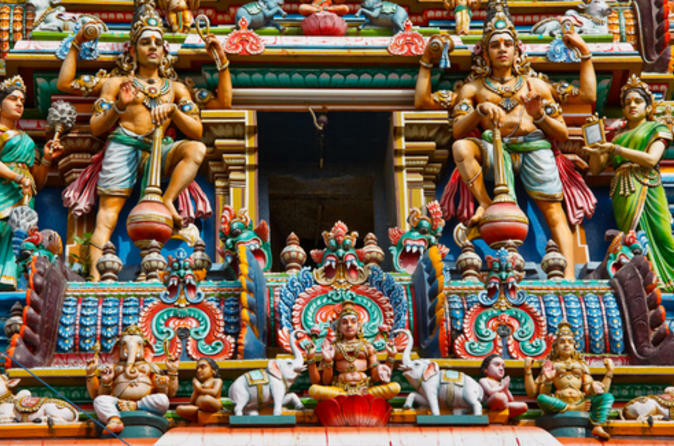 As walking through the Mylapore neighborhood in Chennai, explore the fascinating stories hidden from the mundane rituals of daily life, the stories of Gods and demons, and the stories of ancient customs and symbolism. 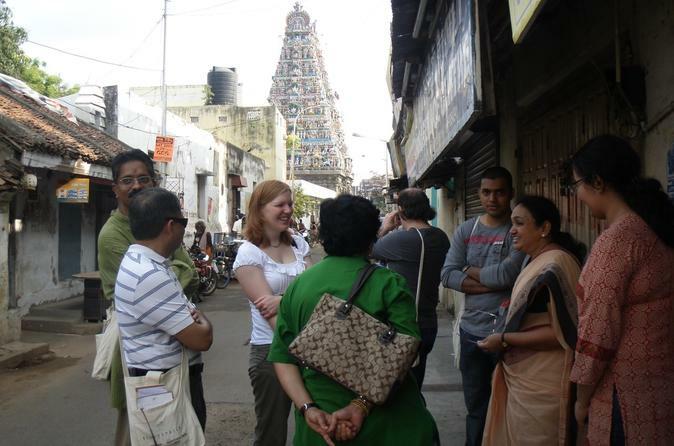 Mylapore is a bustling neighborhood in the heart of Chennai dated the city by at least 2,000 years and has maintained many traditions and arts that Chennai is so famous for. 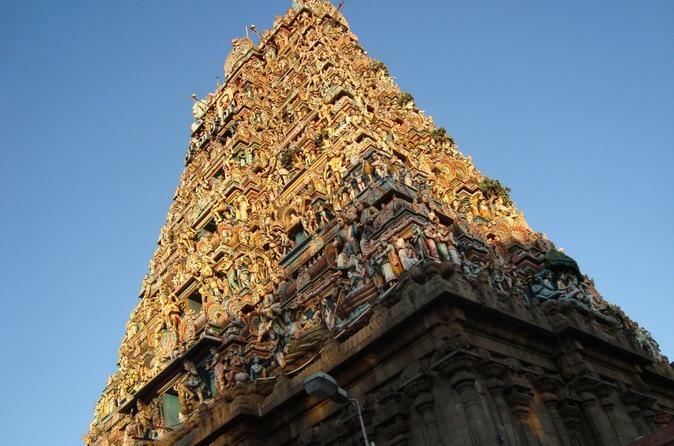 See Chennai’s historical and architectural gems on this half-day private sightseeing tour. Visit Fort St George, the first English fortress in India, and browse interesting art collections and exhibits at the Government Museum, which houses the largest collection of Roman antiquities outside of Europe. Learn about the Dravidian architecture of Kapaleeshwar Temple, built in the 7th century, and enjoy scenic views of Chennai on a drive along Marina Beach. Day trip from Chennai to Kanchipuram on a Royal Enfield motorcycle or by private car to meet the legendary silk saree weavers. You will also get to visit organic farms in the area to learn about paddy cultivation and biogas production from cow dung. Interactions are planned with the farmers to get an authentic perspective of organic farming in the region. The tour ends with a visit to an ancient Pallava dynasty temple. 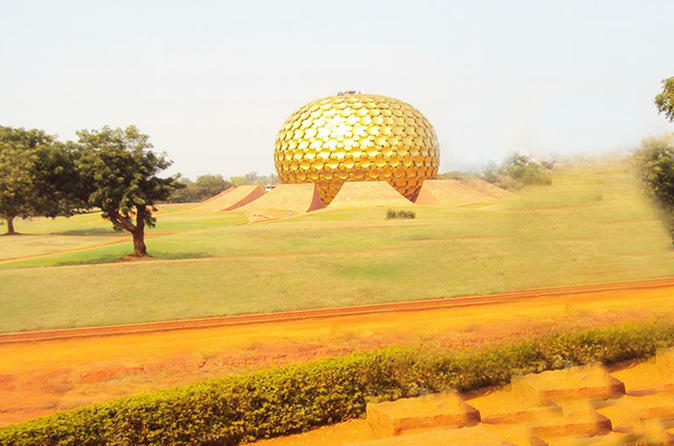 Book this full-day trip to explore two amazing cities in a day - Auroville and Pondicherry. 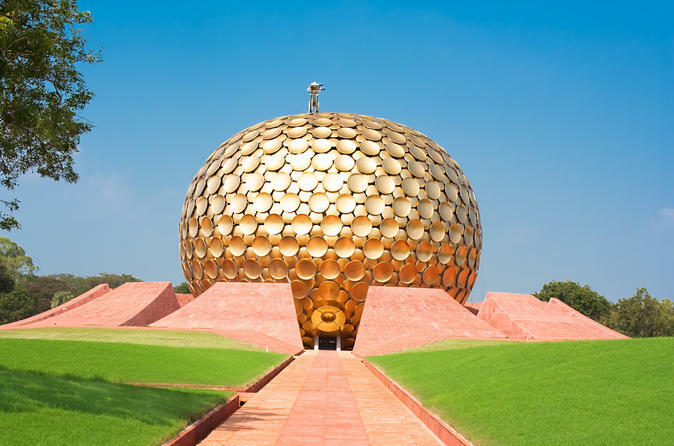 Visit the spiritual Matrimandir in Auroville that took 37 years to build and also all the spiritual belongings of Auroville Aurobindo Ashram in Pondicherry. Visit the Pondicherry Museum and sculpture gallery to learn more about the unique history of Pondicherry. 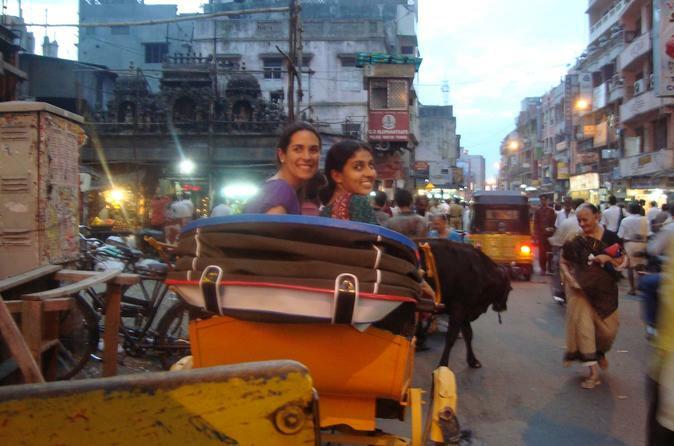 Tour the beautifully and culture-rich city of Chennai on the Bay of Bengal. 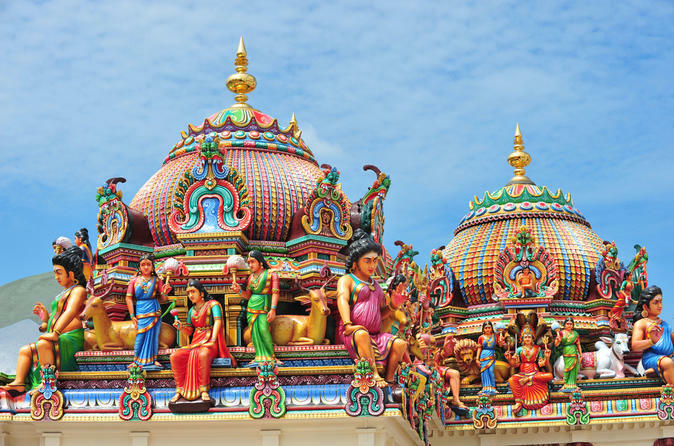 You will visit several religious sites including the Kapaleeshwarar Temple, colorfully adorned with carved and painted gods and one of the most famous landmarks of Chennai. You will also visit 17th-century St. Mary's Anglican church, the ornate Roman-Catholic San Thome Church, and the architecturally-magnificent and expansive Ripon Building. The tour will also give you a chance to see Marina Beach, one of the longest and most beautiful beaches in India. 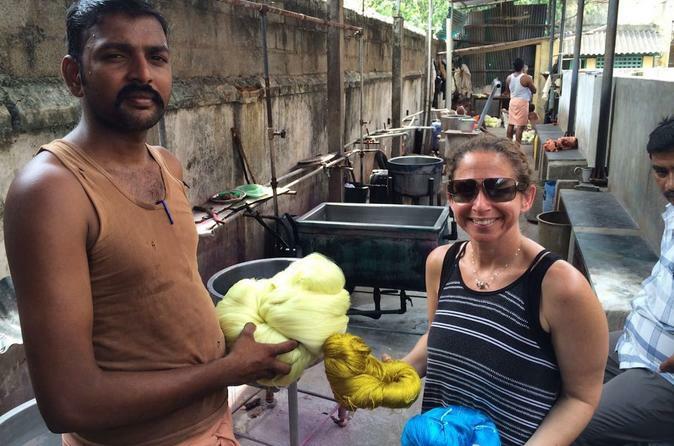 Visit a bustling market place and streets teeming with life and color in Chennai. Walk through the George Town and discover fascinating stories of the everyday life of local people. From being the Black Town to a vibrant wholesale market, this place has seen it all. Come experience the crowded markets, narrow lanes, fascinating history, and mesmerizing images! 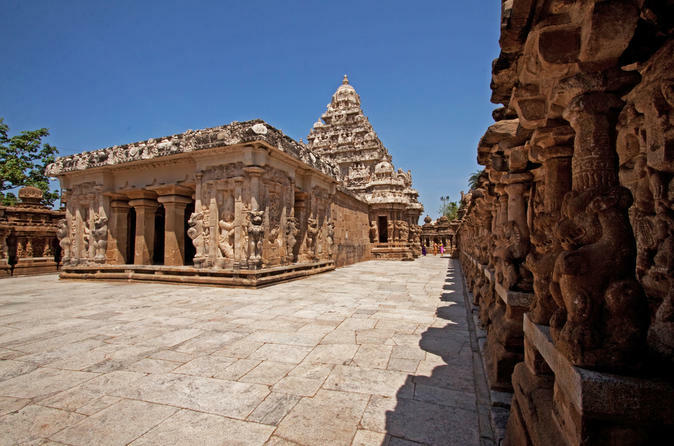 Discover a mix of India's religious culture and architectural heritage on this private tour to Kanchipuram, ‘The City of Thousand Temples,’ from Chennai. 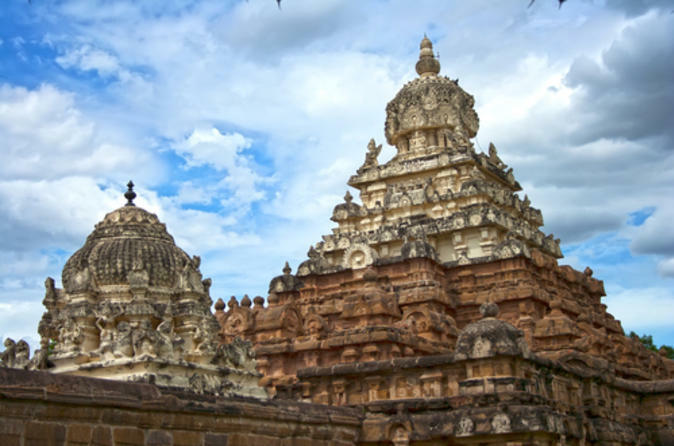 With your private guide, visit several historically important temples, including Sri Ekambareswarar Temple, Kailasanathar Temple, Varadaraja Perumal Temple, and learn about the history of Hinduism and the goddess Shiva in India. You’ll also witness an intricate silk-weaving demonstration and enjoy an authentic Indian lunch. India is an immense landmass known for its colorful people, nature, culture, architecture, beaches, art and humanity, and of course its temples. On this private tour, explore the sacred town of Kancheepuram. Visit its temples and see why this small town is known for its thriving silk and cotton production. This is a full-day spiritual journey of this holy city.